Download WMF, which stands for Windows Metafile, is a graphics file format developed in the early 1990’s for Microsoft Windows systems. These files can contain vector graphics as well as bitmap and is native for such applications as Microsoft Office Word, PowerPoint, and Publisher. Clearly, this format is slightly out of date, which means that many users prefer to store images in formats other than WMF. However, if for some reason you have to deal with WMF, you might want to convert WMF files to, let’s say, JPEG. One of the ways to meet this objective is download a WMF converter. This application is designed specifically for conversion of WMF files to more modern formats. The downside of WMF converter, however, is its limited functionality. 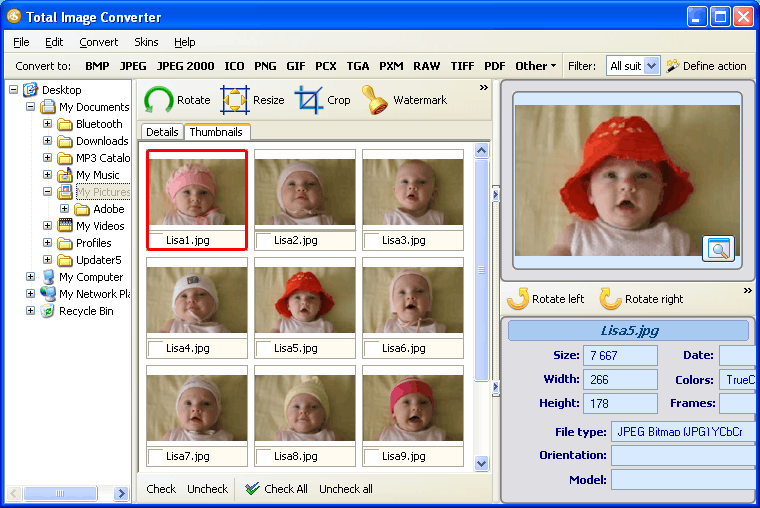 A better option is an image converter, which, unlike WMF converter, can be used to process many types of images. With the help of such application, files can be converted from WMF to JPEG, GIF, BMP, PCX, PNG, TIFF, RAW and vice versa. Functionality. 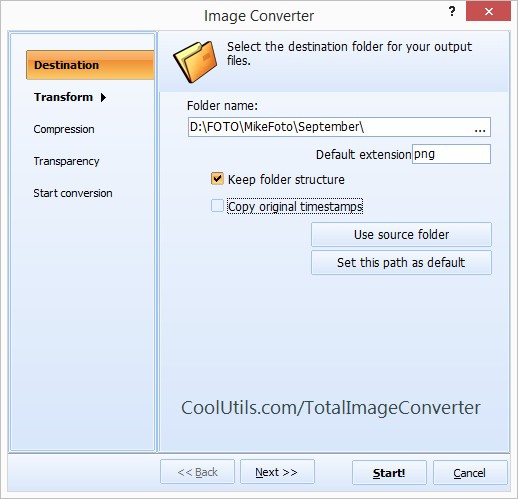 CoolUtils converter can be used to process dozens of image formats. Also, it is perfect for editing WMF files (cropping, rotating and resizing). Moreover, it supports batch conversion, which allows to convert hundreds of files at a time. Simplicity. 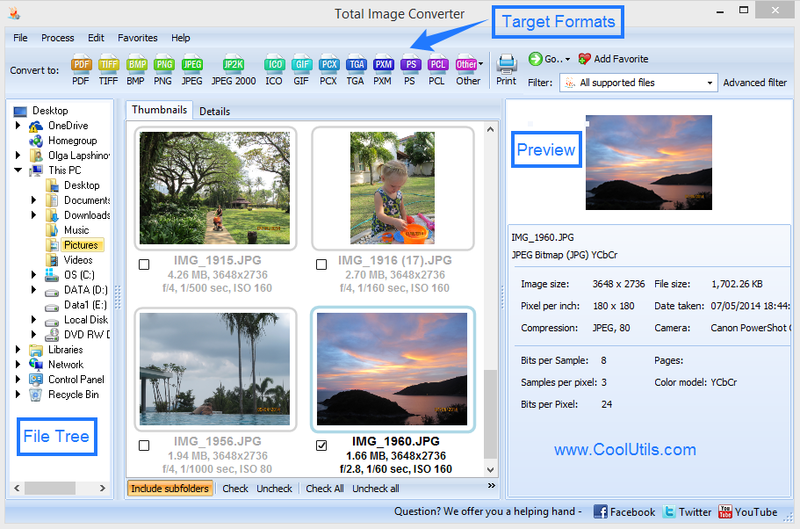 The interface of Total Image Converter is very simple. It can be mastered even by users who have absolutely no tech knowledge. The built-in step-by-step wizard and online how-to video make it even easier to understand how the converter works. High quality. The program does not interfere with the original quality of WMF images unless the user changes the settings manually. This means that converted images are generated in the quality that does not yield to the quality of the original. 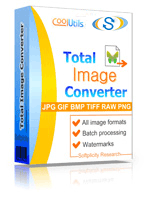 Total Image Converter is one of the best applications for image conversion in its price range. You can download a free trial version of CoolUtils image converter to evaluate its quality right now!